Posted on August 17, 2016 by Kara McElwrath | Comments Off on How Can We Help You? The start of the semester is here! We couldn’t think of a better way to welcome you back than to showcase some of the resources and services we have available to support your teaching. We are looking forward to working with you and your students this semester! For additional information about how to use Capture Space Lite, please visit the Capture Space Lite webpage. Classroom Technology Concerns? We Want to Know! While we strive to ensure classroom technology is working smoothly, when there are issues, ITS wants to make it easy for faculty to report concerns. You will now see a Report Issues shortcut on the desktop of the instructor station in each classroom/lab. Simply double-click that icon to report any issues or concerns you may have. We will follow up with you to address them. Based on the feedback from faculty last year, this summer we installed new projectors in over half of our classrooms throughout campus – your input makes a difference! For faculty interested in taking attendance in on-campus courses, ITS has developed a web-based application. Check out the video for more information, including how to request this new service for your course! Skype for Business is UIS’ campus solution for online collaborations, allowing users to communicate in live-time via instant message, audio and/or video chat, and desktop sharing. Skype for Business is a great tool for communicating with online students – to host class sessions, to offer office hours, for students to collaborate on group projects, and more. Please check out our Skype for Business webpage for information on how to download and start using Skype for Business. In an effort to improve the ease of access of instructional software, users may take advantage of Citrix Virtual Desktop. This process allows users (whether on or off campus) to access a virtual computer that runs software for which UIS has licensing. Citrix Virtual Desktop runs on all platforms, including mobile devices. ITS is committed to ensuring that faculty have access to the software they need. Earlier this year, we acquired site licensing for the Adobe Creative Cloud suite of applications as well as SPSS. Faculty may download any of these applications from the WebStore. Faculty can also take advantage of Office 365 to download Office applications on their personally-owned devices, free for use. Office 365 also includes use of the Office mobile apps, allowing you to create and edit Office documents on your mobile devices. We are excited to offer 3D printing and scanning at UIS. ITS has a 3D printer and a 3D scanner available for course projects. There are many applications that can be used to design the model to be printed. We have installed the entire Autodesk suite of software in the UHB 2000 lab and the Media Lab. This software is also available free of charge to faculty, staff, and students. Please visit our 3D printing and scanning webpage for more information. The beginning of a new year always sparks talk of what the future holds, and today we wanted to share some of the new technologies in higher education to look out for! Virtual Field Trips: Google’s Expeditions Pioneer program is one of Google’s newest and neatest technologies. Designed to give students a unique experience they could not get anywhere else, these virtual field trips take them to space, coral reefs, caves , historical locations, and tons more! Not only does this educate students on the unfamiliar but also is a great way for them to explore various careers. 3D Printing: We’ve blogged about 3D printing in the past, and here at UIS, we even have a 3D printer! But 3D printing is continuing to grow, and websites like Thingiverse assist in finding plans and files to print exactly what you’re looking for. Wearable technology: This type of technology (think the iWatch, even exercise trackers) is becoming more common in the classroom setting; from recording point-of-view lessons, tracking students on a field trip via GPS, and even being the center of contests and fundraisers, wearable technology is expected to continue to grow. Robots: Robots and robotic toys are being used effectively in classrooms, and particularly have a significant effect on learning in special education classrooms. Students are able to interact and engage in entirely new ways. We wanted to kick off the semester with a post that highlights some of the tools and resources available to UIS faculty, staff and students provided by ITS! These great tools are all right at your fingertips and free, so be sure to check them out! We are sharing a few today, but for a complete list of ITS’ services to the campus community, please visit our website at http://www.uis.edu/informationtechnologyservices/. On-Demand Training: This is definitely a valuable resource for the campus community, particularly because it can be accessed from anywhere at any time. If you have a question on how to format a paper at word you are finishing up one night, simply log into Lynda and search for a video that will show you exactly how to work on formatting in Word. Lynda offers thousands of videos on tons of different programs for all different levels of expertise and users can even choose to work on complete courses and track their progress. Box.com: The file storage and management system offered by UIS to the campus community is an easy to use and accessible system that not only stores files but offers various options for managing content and collaboration. Box.com is a cloud-based system and can be accessed both on and off-campus, anywhere with an internet connection! ITS Client Services: For any questions you have about how to use programs, issues you may be experiencing, or if you need someone to take a look at your computer, ITS Client Services is here for you! Located in the lower level of Brooken’s Library, computers are available for use stocked with software, media equipment is available for check out, workshops are held, and more! If you are looking for a new, exciting webtool to utilize this semester, today we are sharing one of our favorite recent finds! The tool is called Zaption, and is a great way to combine multiple channels of delivering information into one, and would be a great option for instructors who are focused on flipping their classroom. Zaption is essentially a tool that allows users to create interactive videos. The videos they use as the base of the project can be uploaded from their own personal collection, selected from YouTube, Vimeo, TED and tons more. Users can then add images, text, discussions and even quizzes. After videos are published, they can be simply shared with the link. The free version of Zaption allows users to view who has viewed their lesson, their responses to questions, etc. The pro user version allows users to export all this information into an Excel document, which includes some additional viewer details and options for organizing/filtering responses. Zaption is free for the basic version, so is also a great tool for students to utilize for a project or presenting information to their peers! If you have questions on Zaption or would like to learn more, feel free to reach out to us! A great presentation is not always an easy feat! But when accomplished, it can really inspire, teach and make a great impact on the audience. In higher education, great presentations have the possibility of making a huge and lasting impact on students, so making presentations great can make a huge difference! Prezi is not a new tool; we have blogged plenty in the past of how much we like this free web-based tool that allows users to get creative with the way they present information, and that it gives them the opportunity to step outside the typical PowerPoint style presentation. However, sometimes it can be difficult to imagine just how you want your Prezi to be, so today, we are sharing a few of the “showcased” Prezis of the year! Check out a few of our favorites here and here, get inspired, and let us know what you think! And if you have any questions on using Prezi or getting started, let us know! The final weeks before finals are a stressful time for just about everyone, but definitely for students! A good way to prep students while also getting them through this stressful time is to offer some reviewing tactics and strategies that are fun and beneficial in helping them study and review the content of the semester! Game show review: These are always fun, interactive, and a great way to get all students involved! Check out our post last week sharing all the great templates in Google Docs for tons of different options! Scavenger Hunt: This is a fun way to show your students the importance of taking good notes! During class, ask questions and have students search and locate the answers in their notes throughout the semester! These are just some ideas we liked—let us know some of your favorite ideas for reviewing! One of the best features of Google Docs is the collaborative community and the idea sharing…and all of this comes together in the templates section! Browse through thousands of templates for just about any purpose…certificates, rubrics, outlines, presentations, and TONS of games! Perfect timing in sharing this feature, as with finals approaching, taking advantage of some of these great Jeopardy and other group game templates can be a fun way to review material with your students! Simply go to the Google Docs templates and browse for the game you’d like to try, download the template, and customize it to your own classroom by entering your own questions, answers, and more! If you have questions about using Google Docs or accessing the template community, let us know, we would be happy to help! We’ve blogged in the past about 3D printers and the great things they are currently doing, and also the great potential they have in the future! Today, we wanted to share a story with you that will not only show just another way 3D printers are making a difference, but will bring a smile to your face! A puppy born with 2 legs recently had a 3D printed wheelchair created especially for him, and this chair will give the puppy a chance to develop properly and become more mobile! To learn more about 3D printing, check out UIS’ very own page for more information! Today we are sharing a technology we have not discussed much in the past on this blog, but we want to highlight as it is a great resource is offered to the entire campus! Gartner is an invaluable resource for research and analysis on IT technologies, practices, and strategies. To access Gartner, click http://go.uis.edu/gartner. Access tools and resources with the valuable analyses that can be used in a variety of ways! October is…National Cyber Security Awareness Month! October is National Cyber Security Awareness month, and while this is always an important topic to discuss, we thought it was the perfect opportunity to share some of tips on safe and secure practices when using technology! Make passwords strong and don’t share them with anyone: Use letters, numbers, and symbols, and make passwords different across accounts. If one password were to be compromised, you don’t want them to have access to all of your accounts! Keep your operating system, browser, and other critical software optimized by installing updates: Don’t ignore those notifications of your expiring security software! To keep your system both safe and running quicker and more efficiently, update systems regularly. Maintain an open dialogue with your family, friends, and community about Internet safety: With so much social media preference and our reliance on the internet for not only email but also purchasing items and paying bills, it’s important to share tips and news with your peers to spread awareness! Limit the amount of personal information you post online and use privacy settings to avoid sharing information widely: Whether it be Facebook, Twitter, Instagram or LinkedIn, be sure that you know what information is being shared. It’s a good idea to keep the information that is shared minimal. Keep identifying information like your address, birthdate, and of course account information, private. Be cautious about what you receive or read online—if it sounds too good to be true, it probably is: Be conscious of emails and spam messages. Do not open links that seem suspicious or with which you are unfamiliar. For more great information on Cyber Security Awareness month and more tips and information on how to stay safe, check out this PDF presentation from the Department of Homeland Security: http://www.dhs.gov/sites/default/files/publications/Undergraduate%20Student%20Presentation.pdf and feel free to reach out to us here at ITS Client Services if you have any questions, concerns, or would like additional information! The way we work now is so technology based that it feels like we have passwords for just about everything. 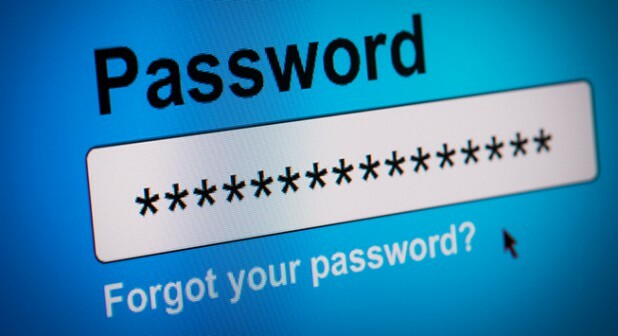 Before we know it, we’ve reset a password and completely forgotten what it is! And if that happens to you with your UIS password, you know how frustrating it can be to be locked out of your email, my.UIS account, etc. The good thing is we offer a few ways to reset your password on your own at any time, so misplacing or forgetting your password doesn’t cause such a setback! Resetting your password can easily done on the password reset page, here. You can both reset it to change it here and recover it if you’ve lost it. If you’d like to visit ITS Client Services in the Media Lab, you can reset and/or recover your password there as well! To learn more about password management, click here! Posted on October 5, 2015 by Jessica Gaido | Comments Off on Your On-Demand Training Tool! Here at UIS, ITS services offers workshops regularly training faculty, staff and students on programs like MS Access, Adobe Photoshop, and more! However, attending workshops may not always fit in with your schedule…or maybe the question you have is something quick, like how to format a paper in Microsoft Word. That’s where Lynda, UIS’ on-demand training resource comes in! This extremely helpful resource is free for use for faculty, staff and students and includes how-to videos and tutorials for tons of programs! Take full courses on how to use Microsoft Office Programs, Adobe Suite programs, and tons more. The courses range and can be up to several hours long, however, train at your own pace! Even customize your training and track your progress to see how much you’ve completed and how much further you have to go. Lynda is not only a great solution for faculty and staff, but also be sure to share this resource with your students. If they are having issues using a program to complete a homework assignment or just want to learn more about new software, this is the perfect solution to share! Comments Off on Your On-Demand Training Tool! With so much great information available on the internet, often times, it is a great idea to share websites and links with your students where they can find additional information that complements your lecture materials. Perhaps you’d like them to look further into a specific topic, learn something entirely new, check out new tools/web resources, and more! 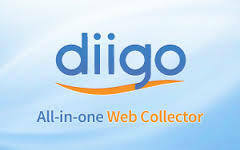 A great tool to compile these bookmarks and share them easily is Diigo. Links and websites can be organized and distributed to various groups! A great feature is as a Diigo user, you can create separate groups of links to share with separate groups of individuals. So, if you have multiple courses, create a set of links for each separate course, easily! Highlight, annotate, add notes and more on the items that are bookmarked so you can not only share the web information but you can add your additional comments to share as well! Check out Diigo today and let us know what you think! Set your Students up for Success by Promoting Collaboration! Posted on September 8, 2015 by Jessica Gaido | Comments Off on Set your Students up for Success by Promoting Collaboration! Collaboration is one of the key components to making a students’ experience a positive one in your course. Collaboration encourages the sharing of ideas, opinions, and opens the minds of students so they can view things in a new way and learn something new. Sometimes, it seems difficult to fit in these opportunities for collaborating with peers into our lectures for many reasons; a class may be primarily online-based, it may not seem like there is time to have discussions during class-times because it will interfere with lecture, etc. Today, we wanted to share a few tools and ideas for incorporating opportunities for students to collaborate with one another and share ideas—try one of these this fall! Is your class primarily or completely online? Try out a new tool, like ThinkBinder, which is a free webtool where students can communicate with other students on topics like homework, test preparation, class discussions, and more! This is a great tool because students are not only able to share their ideas through text, but can also upload videos and live chat via text or video. It’s basically a remote study group! Are you set with your class-time being lectures? Many of us have a lot of information to fit in and covering this through presentations during class time is the best way we work. One way to encourage collaboration in this teaching method is to use clickers so questions can be incorporated throughout the lecture and students can provide live feedback…to encourage collaboration, try putting students in groups to provide feedback, create a quiz game…with clickers, the opportunities are endless! Want to try something small, yet effective? Blackboard discussions are a great way to encourage collaboration, particularly if these are integrated as part of the course syllabus! Encourage students to not only respond to the post but also to comment on the posts of others. To even go a step further, give students the opportunity to post their own discussion questions! If you would like to explore more ways to incorporate collaboration techniques into your classroom, let us know! We can help you find the methods that work for you. Comments Off on Set your Students up for Success by Promoting Collaboration! Citrix Virtual Desktop is definitely one of the most functional and useful tools offered by ITS, and is one of the best tools to familiarize yourself with at the start of the semester if you haven’t yet used it! Citrix Virtual Desktop is a program that essentially turns your home computer into a UIS desktop, complete with all the software you need. With Citrix Virtual Desktop, users connect to a UIS desktop remotely, and they are then able to access software and programs like the Microsoft Office suite, the Adobe suite, SAS, and any other program you may utilize while on-campus! Simply download the software to your personal computer and you are able to connect remotely to the UIS desktop anywhere with internet service. To learn more about Citrix Virtual Desktop, click here!